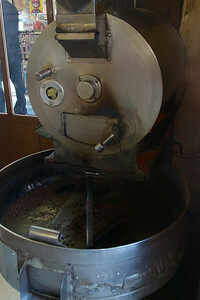 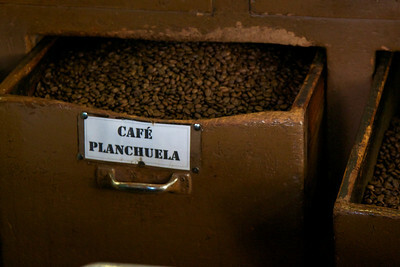 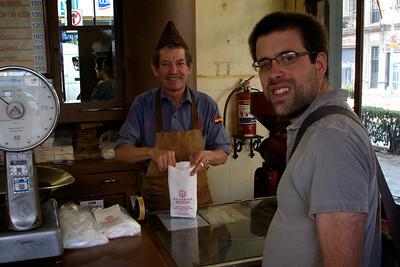 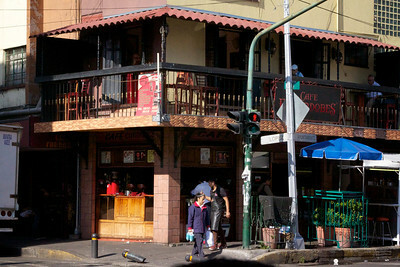 Coffee bean vendor at Cafe Villarias. 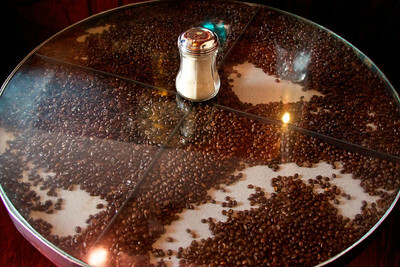 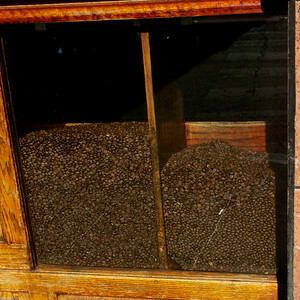 Cafe table with coffee beans. 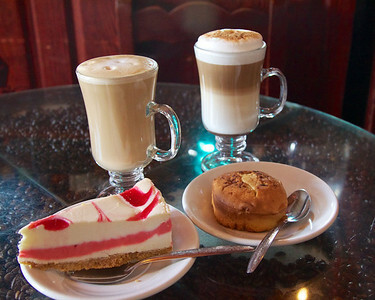 Cafe con leche, mocha, raspberry cheesecake and muffin. 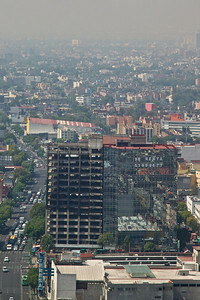 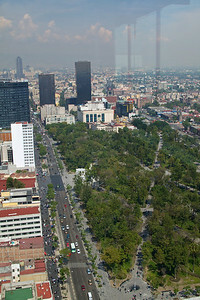 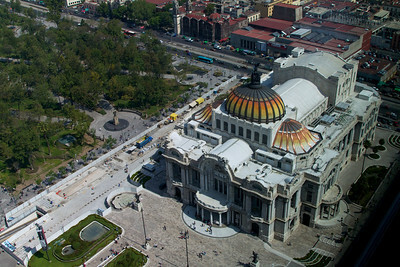 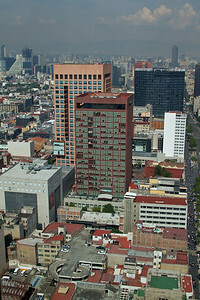 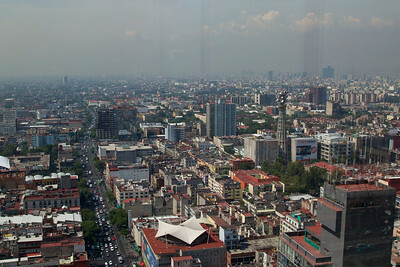 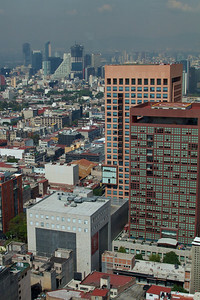 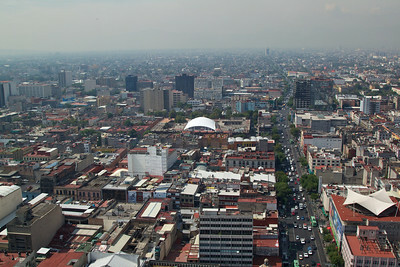 Palacio de Bellas Artes and The Alameda. 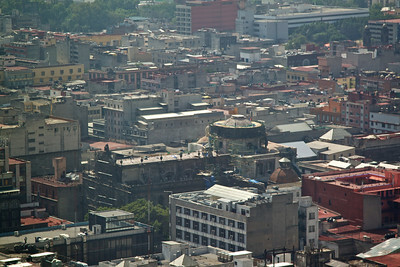 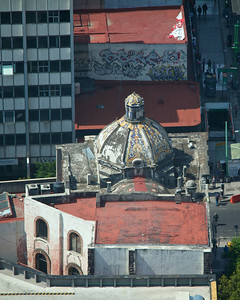 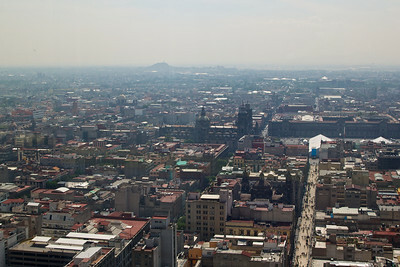 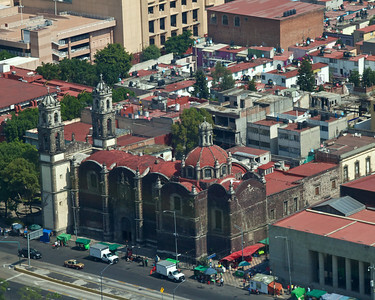 Center is the Metropolitan Cathedral and the Zocalo. 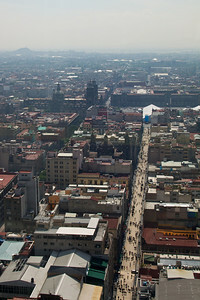 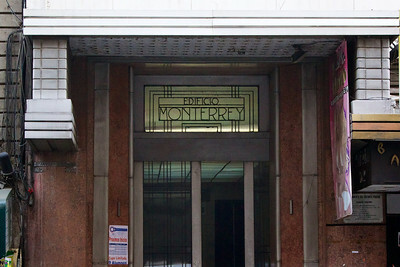 Pedestrian street between the Zocalo and the Alameda. 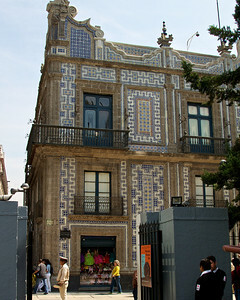 Casa de los Azulejos "House of Tiles" built 1793.
our bags upon return. 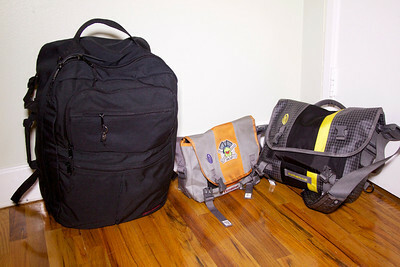 The grey/orange bag was packed inside the carryon when we went down, and the carryon itself was much emptier.